Photographer Jennie Buchanan unknowingly captures a drug-cartel meeting on film. And now she has become a killer’s next target. Even worse, her only protection from the danger that threatens her life is the man who threatens her heart. Dodging bullets almost seems safer than facing the feelings stirred up by seeing former FBI agent and ex-boyfriend Ethan Justice again. Ethan vows to safeguard Jennie from the deadly men on her trail. And for a second chance at Jennie’s love, he’s willing to risk anything to expose the truth—about the drug smugglers, the past and the future together he still wants. As an unknown assailant attempts to kidnap family-court judge Kate Forster’s infant son, police officer Chase Walker thwarts the attack—and vows to keep the pair safe. But who will protect the ex-marine’s heart when the widowed mother and her little boy make him long for a permanent spot in their family? The tragedy that killed Bree Hatfield’s best friends—and left her with custody of their young daughter—has been ruled an accident. But Bree knows it was murder. Scared and alone, she turns to her ex-boyfriend, navy SEAL Clint Reed, who’ll risk everything to protect baby Ella and the woman he never stopped loving. Know what I love better than a good story? TWO good stories, and Her Baby’s Protector delivers. 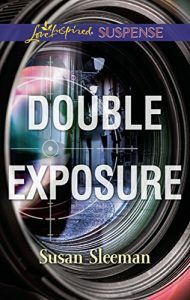 This book contains two novellas by two romantic suspense authors who kept be involved and turning the pages. 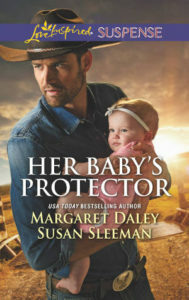 As if an adorable baby in each story wasn’t enough to keep my interest, there’s also the rugged men whose hearts are melted by the children as they’re falling for the mothers. My favorite of the two stories was Saved by the SEAL by Susan Sleeman. From the harrowing first line, I was drawn into this story and the lineup of suspects kept me guessing who was behind the crimes until the end of the book. While Bree and Clint investigate the murder of Bree’s friends, they must navigate the emotional mines of their past and their current feelings for each other. With a story that defines suspense until the very last chapter, Sleeman delivers another winner. As the saying goes, all good things must come to an end. And a fantastic book series is no exception. Susan Sleeman’s final installment in the First Responders Series (FRS) is a satisfying and fitting conclusion. As a reader, I’ve gotten to know the six members of the team over the last five books, it is their leader who has held the most mystery for me. The commander of the team is focused, serious, and excellent at his job. He cares for each and every person under his protection, including the “family” he works with. But his focus has always been on his career, protecting people, and atoning for an event in his past he believes he could have stopped. Rachael Long has devoted herself to her childcare facility and helping less fortunate parents get their feet under them. After losing two people she loved, she knows this is her role. When someone attempts to kidnap one of the children in Rachael’s care, members of the FRS team are brought in to resolve the situation. As the investigation proceeds, Jake’s fierce drive to protect keeps him watching out for Rachael. But there’s something…more. Will Jake and the rest of the FRS team untangle the mystery behind who the attempted kidnapper is and who was the true victim of the crime? Before someone loses their life? 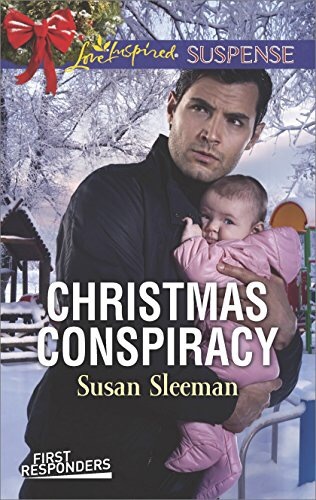 Once again, Susan Sleeman delivers an action-driven, heart-pounding story that kept me on the edge of my seat. There were some good surprises thrown into this one along with Christmas cheer despite the intense subject matter. And hints of happy additions to the team in the future. Cuddle up by the fire or with your favorite blanket and savor another winning story full of hope and healing. Christmas Conspiracy delivers both and then some. ***The author provided me with a complimentary copy of this book. I was not required to write either a positive or negative review, and all opinions expressed are my own. 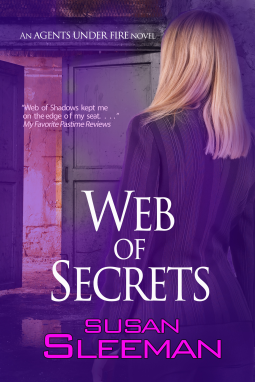 Book three in Susan Sleeman’s Agents Under Fire Series, Web of Secrets, will leave you wanting to sleep with the lights on. The first two books of the series had some creepy villains but the one in book three, Van Gogh, is the definition of twisted and evil. After this one, I’m left wondering what kind of bad guy Sleeman will dream up next. Becca Lange has dedicated her life to finding criminals with the FBI cyber team and helping foster children on the side. But one decision, made when she was a teenage, continues to haunt her—and she has the scars to prove her nightmare was indeed real. She has spent years studying and researching the man who held her and her foster sister captive, the man she managed to escape. When a body of a teenage girl is found with the signatures of Van Gogh, the police ask for Becca’s help with the investigation. Determined to find out once and for all what happened to her friend, her sister, Becca agrees even though it means working with Connor Warren—the man who she can’t deny being attracted to. From the first page, readers get a peek into the psyche of the villain as he tortures his victim. Throughout the book, his addled mind and skewed perception of reality are laid out in a way that is both unnerving and frightening, especially when he sets his sights on our heroine. Becca’s struggle with her past prevents her from embracing any future happiness—something she believes she might be able to have with Connor. As a reader, I ached for Becca and what she’d been through, understood why she kept it a secret, and rooted for her to get justice. And I fell a little in love with Connor Warren, a man who works extra hard to put a smile on Becca’s face whenever he can. A man who is determined to protect her, even if it’s from herself. If you’re a fan of romantic suspense, put this one at the top of your list! ***Bell Bridge Books provided me with a complimentary copy of this book via NetGalley in exchange for an honest and fair review. All opinions expressed are my own. What do you get when two hostage negotiators, a sniper, a bomb technician, an EMT, and their commanding officer live together? The answer is a family. 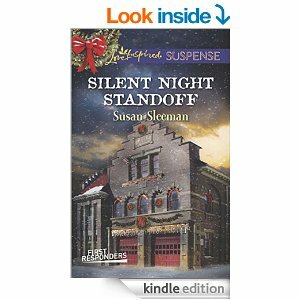 In Silent Night Standoff, the first installment in Susan Sleeman’s First Responders series, readers are introduced to this unique team of law enforcement professionals. Skyler Brennan, a hostage negotiator, is in the wrong place at the wrong time. While dropping off a check at the bank for an upcoming holiday party, Skyler finds herself in the middle of a bank robbery. After being rescued from her team and a man she believed left her for good, the threats one of the bank robbers made on her life become a reality. Logan Hunter has returned to Portland to secure a promotion and with that accomplishment, his dad’s approval. The last person he expects to find in the center of a bank robbery is a former flame—a woman he hasn’t been able to forget. He’s pulled between his head (bringing justice to those involved in the robbery) and his heart (protecting Skyler at all costs). 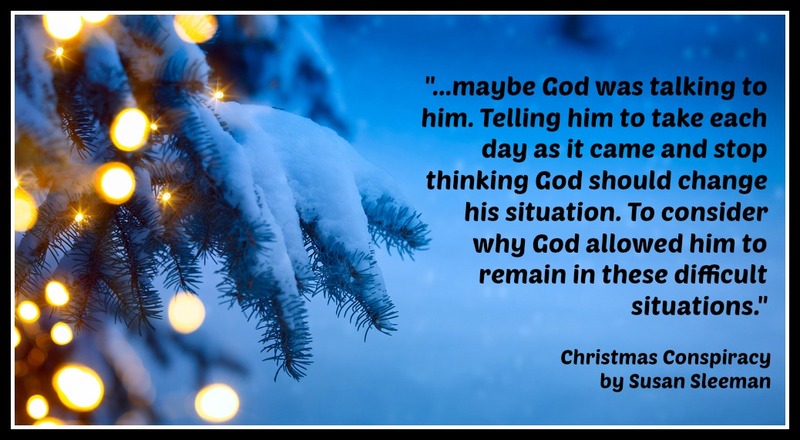 A story of two people trying to overcome mistakes and hurts from their past and searching for what’s important for their future, Silent Night Standoff, captivated me from the first page. The action is constant, the characters are human but likable, and the mystery keeps the reader guessing until the end. The concept of these co-workers living life together reminded me of the relationships in Dee Henderson’s O’Malley series. I can’t wait to read to read the other team members’ stories. To learn more about the First Responders or Susan’s other books, visit her website.